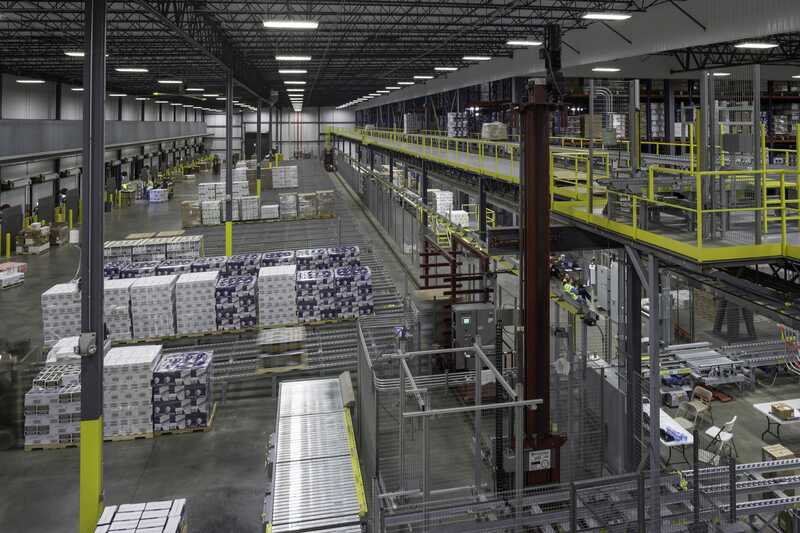 Westfalia's Automated Solutions Enhance The Glenmore Distillery's New Distribution Center - Westfalia Technologies, Inc. In March of 2009 the Sazerac Company purchased the Distillery and reprised the name The Glenmore Distillery. The Distillery boasts one of the largest and most modern bottling facilities in the country and continues to be a sizable employer in the city of Owensboro, KY.
A family-owned business since 1869, Sazerac continues its commitment to its distilling companies with a $71 million investment in the state of Kentucky at its three distilleries: The Buffalo Trace Distillery, The Glenmore Distillery and the Barton 1792 Distillery. Sazerac invested $65 million in both Buffalo Trace Distillery in Frankfort and The Glenmore Distillery in Owensboro to support increased growth. 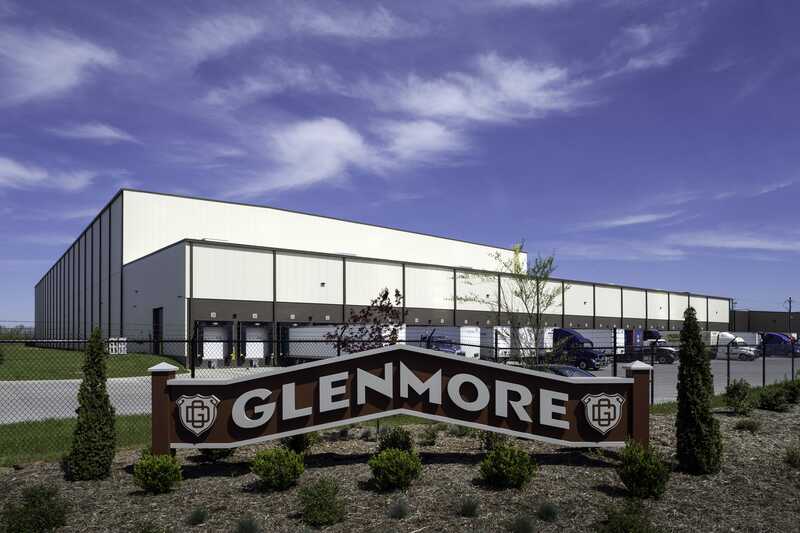 With expansion necessary due to growth, The Glenmore Distillery turned to automation as it constructed a new distribution center. 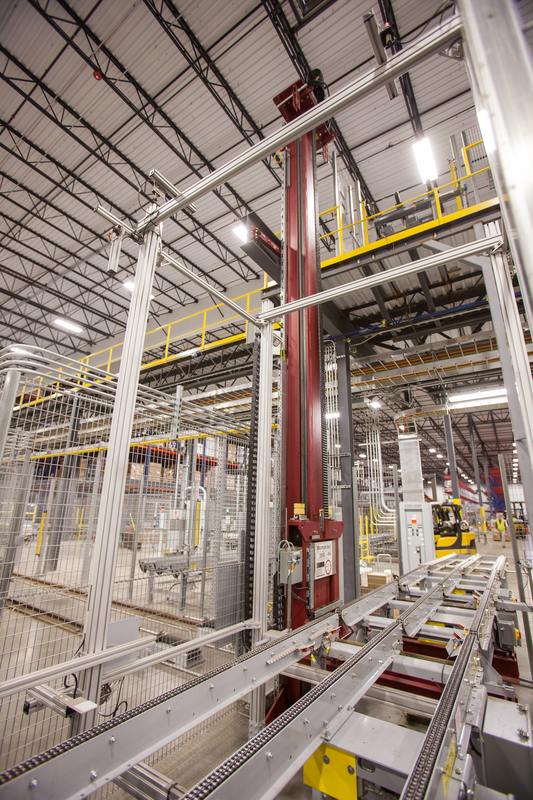 The distillery is now one of the few spirits suppliers to use an automated storage and retrieval system (AS/RS). 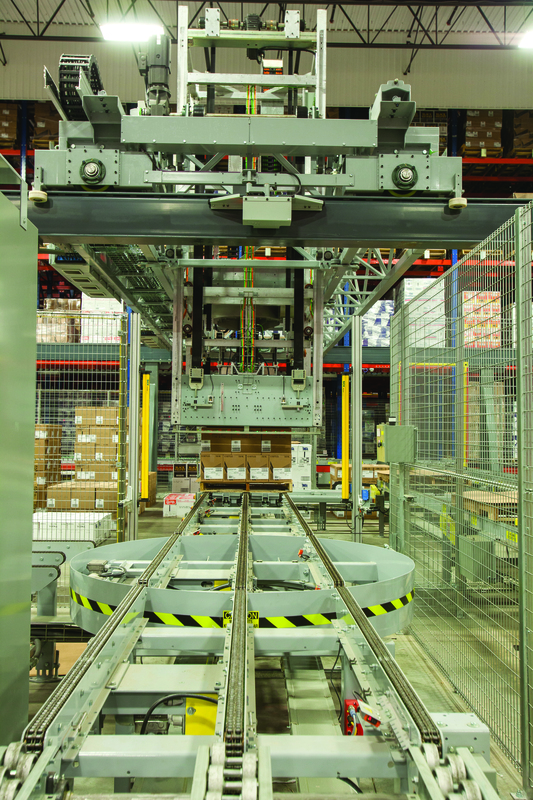 Included in the AS/RS design is an automated layer picking system, truck staging lanes and conventional selective racks. 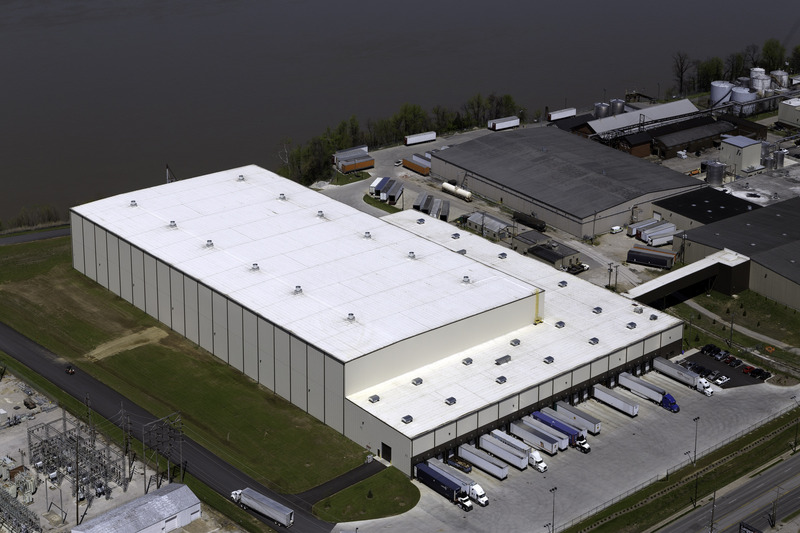 Westfalia’s high-bay AS/RS occupies 136,836 square feet of the 223,000 square-foot distribution center. 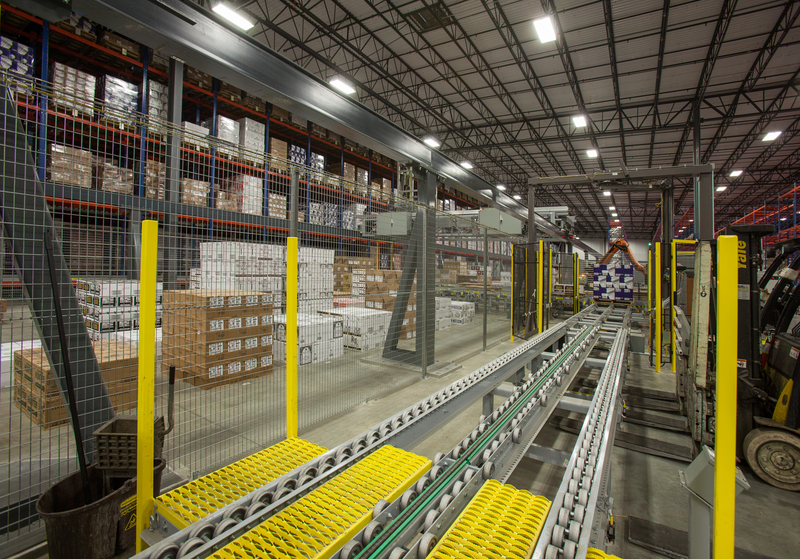 This high-density AS/RS contains four tandem storage and retrieval machines (S/RMs) which operate in four aisles storing pallets seven levels high. 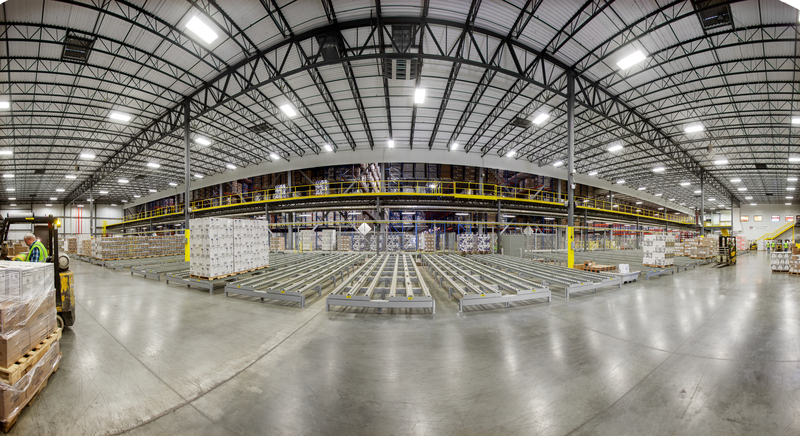 With 36,748 storage positions, the two outside storage blocks hold between one and eight pallets deep, while the middle blocks hold up to 10. Each crane can induct/output 90 pallets of finished goods per hour, with a total of 360 pallets moving within the system. The AS/RS also contains 52 pallet staging lanes, holding up to 416 pallets. Integrated with the AS/RS is an automated layer pick system to replenish stacks. The layer pick system is capable of moving 150 layers per hour and storing 255 SKUs. The layer pick system contains one robot on a gantry frame with 270 pallet positions and has the ability to pick a near limitless variety of products. 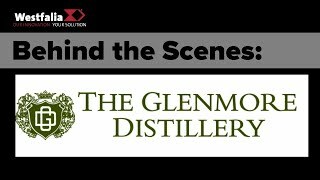 The Glenmore Distillery’s automated layer pick system is equipped with a clamp and vacuum picking head capable of multiple layer picks, resulting in the movement of 80 layers per hour. In addition, The Glenmore Distillery’s design incorporates a four-level high conventional selective rack with 1,554 pallet rack positions. 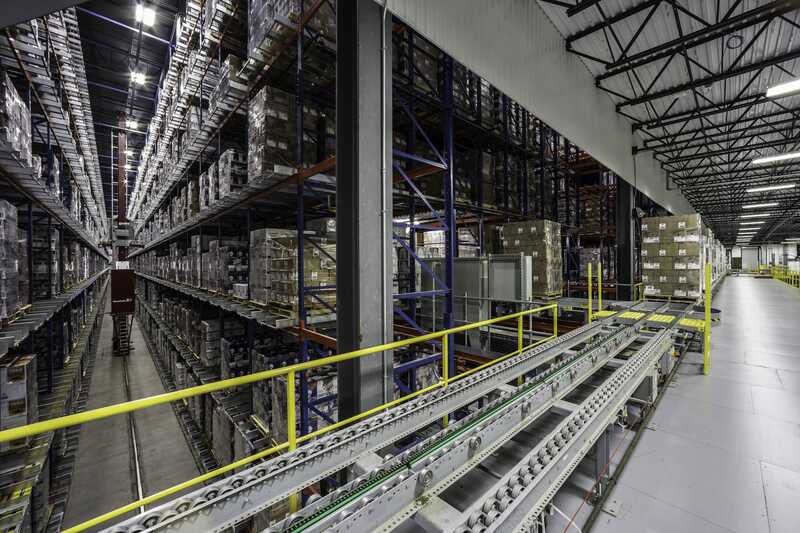 Designed for slow-moving SKUs, there are 384 pick positions at the floor level with 1,170 pick or reserve storage positions on levels two through four. 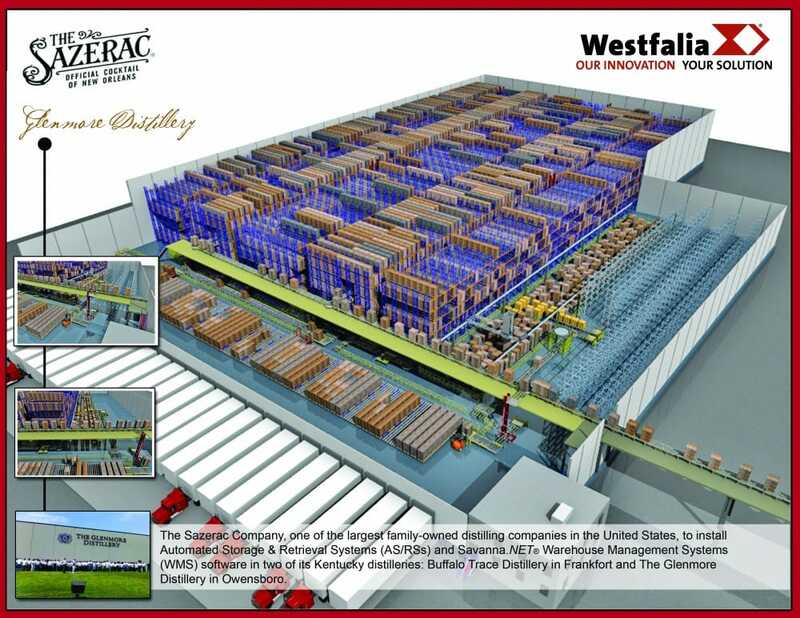 With Westfalia’s AS/RS and Savanna.NET® WES, The Glenmore Distillery’s new distribution center is more efficiently storing, retrieving and managing pallets of finished goods. The automated layer pick solution improves picking efficiency, while ensuring 100 percent order accuracy. The Glenmore Distillery distribution center will also improve traceability due to the flexible and compact layer pick system that has access to a large volume of inventory.